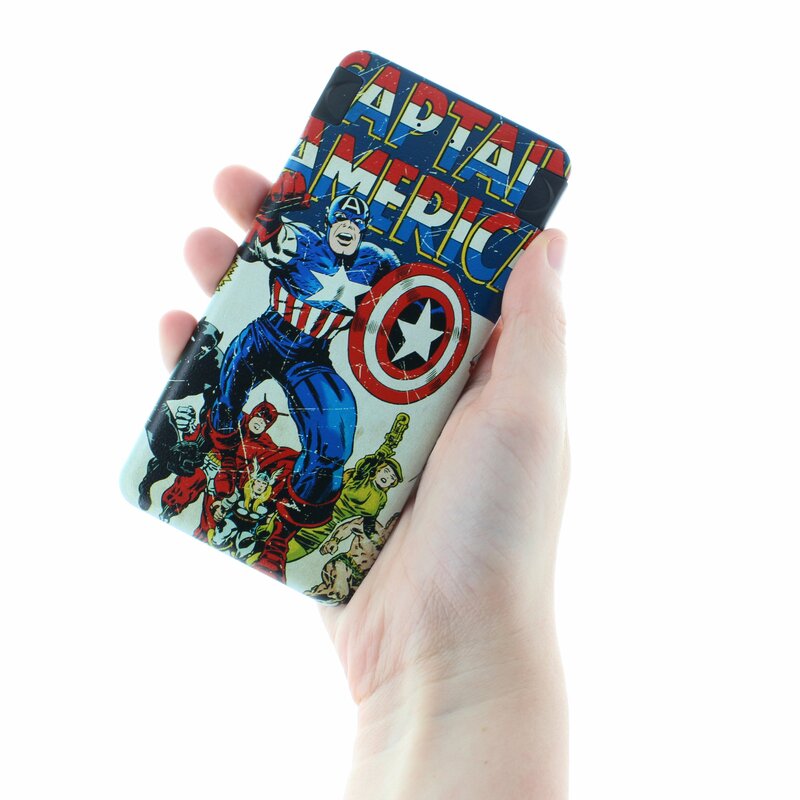 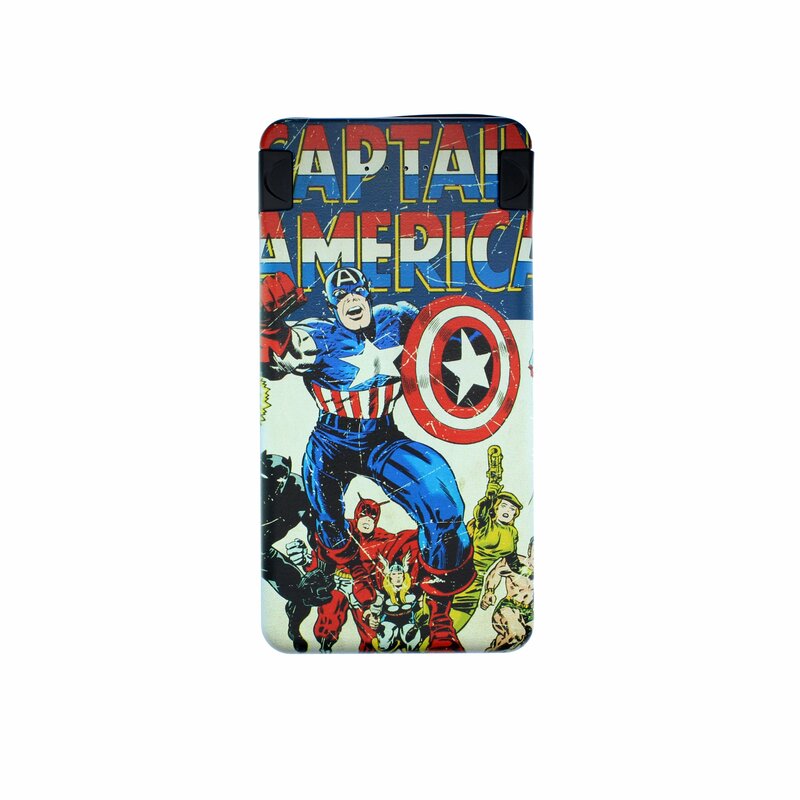 Let Captain America lead the way and protect your freedom to have a fully charged device! 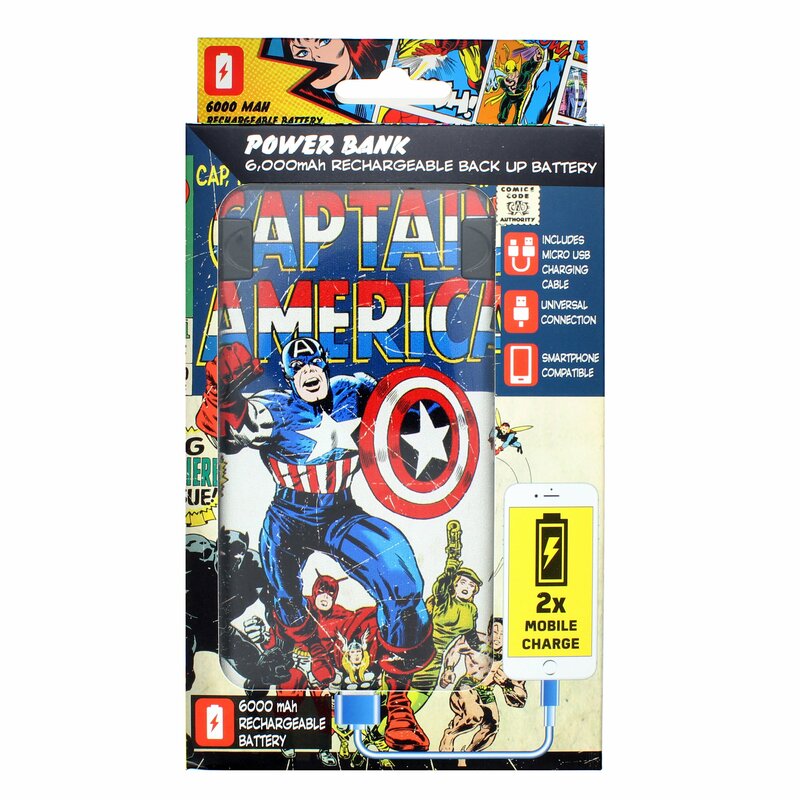 This handy 4000 mAh charger will charge most phones twice to ensure you don’t run out of power whilst battling the forces of good. 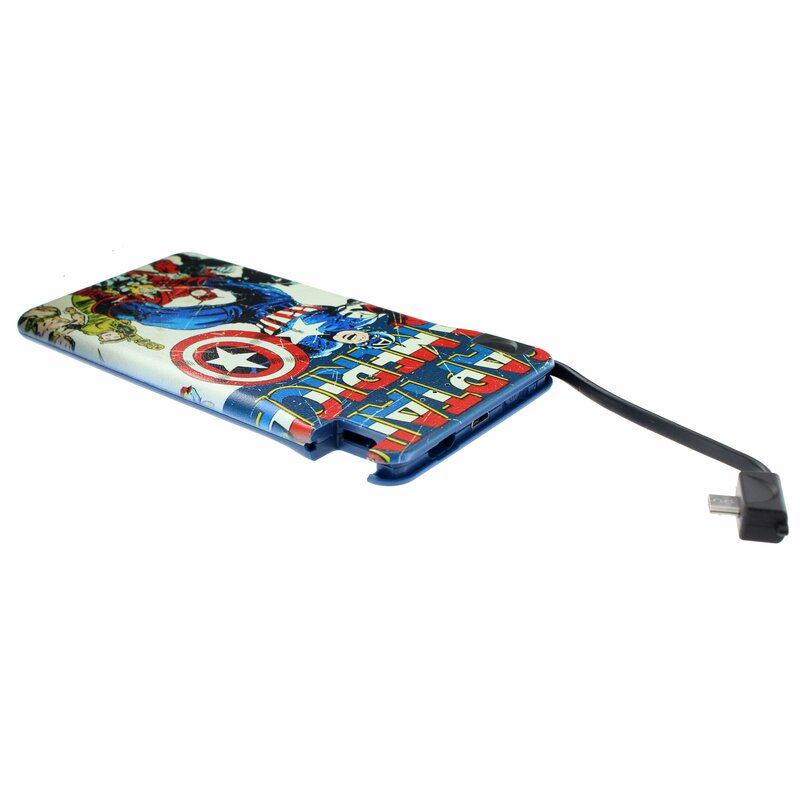 We all know it’s a pain when your battery is running low on the go, so this convenient slim device is the power bank of choice for the demands of the modern age, and is designed to work with Bluetooth speakers, PlayStation controllers and almost any device that can be charged via USB, including the main brands of smartphone. 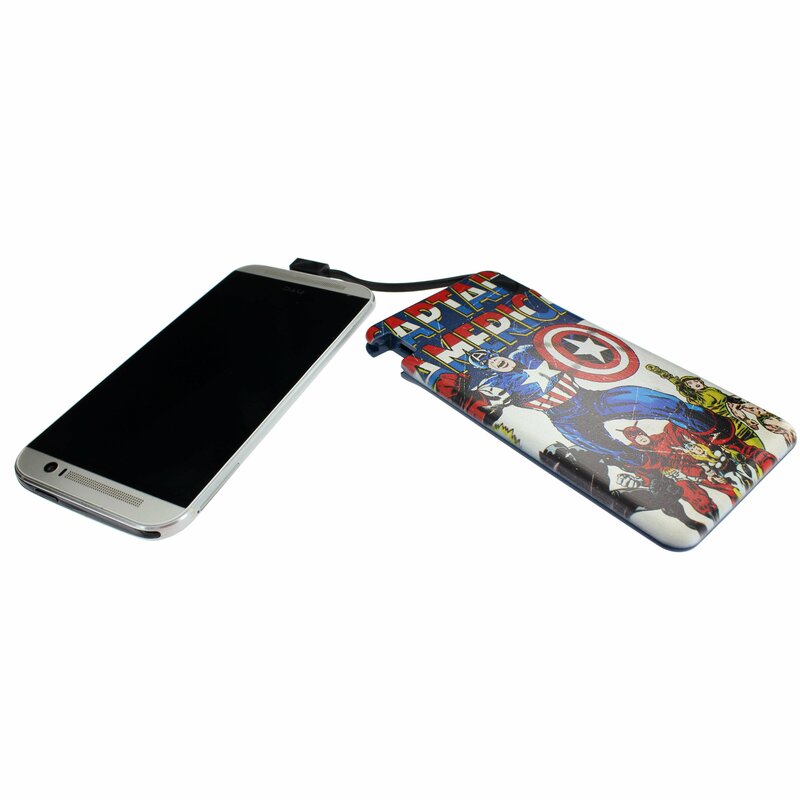 It comes with a built in cable to charge most Android phones and works with iPhone when you add your own cable. .
With an easy-to-carry design perfect for pockets and handbags, you can be sure that this officially licensed Power Bank will be as unobtrusive as anything.